The bigger a telescope’s mirrors, the better resolution it has. Excavation has just begun on a new telescope that will be truly enormous, called the Giant Magellan Telescope. 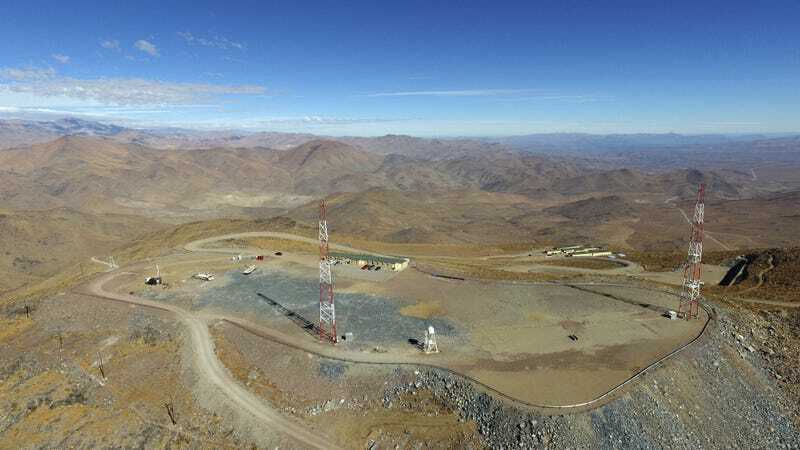 The GMT will be be big—24.5 metres (83.5 feet) in diameter, high up in the Chilean desert. It’s one of several gigantic telescopes under construction. It could help researchers look at distant galaxies, exoplanets... and who knows what else. 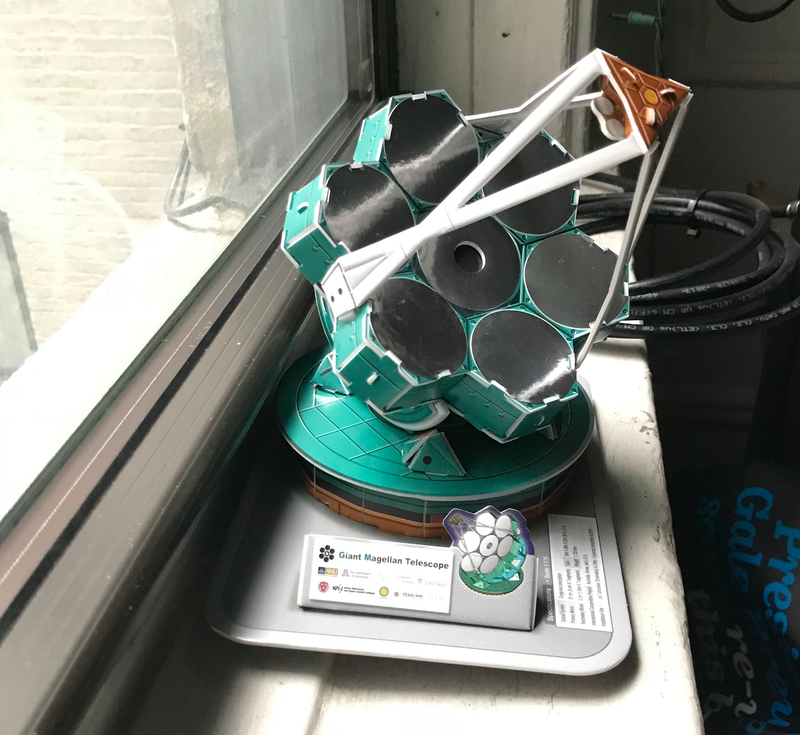 The telescope “opens a whole new potential for discovering things we didn’t anticipate, and ways to address questions we’ve wanted to go after for years but didn’t have the technology to answer,” Pat McCarthy, the telescope’s Vice President for Operations, told Gizmodo. The telescope consists of seven 8.4 metre (28 feet) mirrors arranged in a honeycomb shape, atop a concrete platform, inside a 63 metre- (206 feet-) tall enclosure. It’s located 2,514 metres (8,248 feet) up in the Atacama desert, known for its placid, dark and clear skies. Construction will require digging out seven metres (23 feet) of solid rock in order to place the concrete. The telescope’s first light is expected for 2024. The GMT will observe optical and infrared wavelengths of light, and will be equipped with special adaptive optics to remove the blurring caused by the atmosphere. This will allow it to view details in the far distance, like galaxies from the first billion years of the universe’s existence. It should also help scientists directly image exoplanets surrounding other stars, and determine the kinds of molecules in their atmospheres. What that boils down to is that these gigantic telescopes will be better for observing exoplanets around M-dwarf stars, she said. Space telescopes equipped with starlight-blocking coronagraphs could better observe planets around sun-like stars. Both are important candidates for extra-terrestrial life. Scientists from around the world will write proposals, reviewed by a selection committee, in order to reserve telescope time. The telescope’s founders include a consortium of universities and funding will come from countries around the world, including South Korea, Australia, and Brazil, as well as the National Science Foundation and others agencies. The telescope is just one of a host of “extremely large telescopes” on the horizon, including the controversial Thirty Metre Telescope planned for Hawaii and the Extremely Large Telescope (yes, that’s its name) the European Southern Observatory is planning for Chile. You might be aware of larger radio telescopes — when I visited Arecibo, I learned that radio telescopes must be much larger to collect the longer-wavelength light, and don’t worry quite as much about the cleanliness for their dishes. Bigger is better when it comes to looking at space, and telescopes are entering an era where they’ve become truly enormous. Who knows what else there is to discover in our universe.